Attracting a steady flow of leads requires a great deal of time and consistency. Unfortunately time is the one thing that entrepreneurs never seem to have enough of. Building a database of qualified prospects takes lots of phone calls, creative marketing strategies and online searching. Many entrepreneurs spend so much time managing current clients and creating new offerings that they neglect the prospecting side of their business. It’s impossible to be everywhere and do everything; this is where a Virtual Assistant becomes handy. Virtual Assistants can help you improve the performance and overall effectiveness of your business. While you are handling current business or contracts, your Virtual Assistant can be prospecting for new clients. The key to longevity is ensuring that there is always something in the funnel. How long have you been a Virtual Assistant? It’s important that you select a person or company that has been working virtually for at least 1 full year. Working with supervision isn’t something that just anyone can do successfully. Do they have any marketing or lead generation experience? This one speaks for itself. You don’t want to hire someone with no experience prospecting because now you’re having to train your Virtual Assistant in addition to the other 100 things on your to-do list. Where are they located? It’s important that the Virtual Assistant you choose can work when you’re potential clients are accessible. 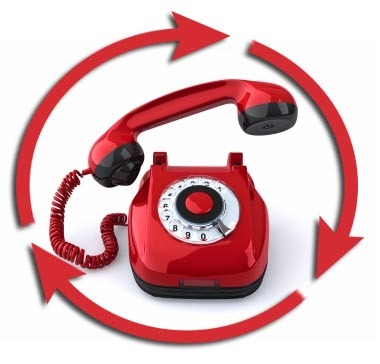 This is especially important if you are going to incorporate phone calls in your marketing strategy. Once you have chosen your Virtual Assistant, the next step is to make it clear what you want to accomplish, what is the desired end result. It is important to keep an open line of communication with your Virtual Assistant. Before work begins, create a check-in system or formula that both of you are comfortable with. This system should include some type of reporting schedule, a dedicated time to possibly connect via phone, your sales process and a preset amount of hours you want your Virtual Assistant to work. It is also important for you to get some type of daily leads report because time is always of essence when it comes to a hot lead. Daily lead reporting also creates an accountability system for your Virtual Assistant. Remember that in order to make money, you may have to spend some. Consistently prospecting equals a constant cash flow. Invest in your business by partnering with a credible Virtual Assistant today. 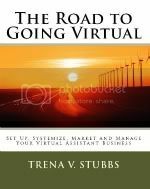 Written by Trena V. Stubbs, owner of Apex Virtual Solutions. Apex Virtual Solutions (www.apexassisting.com) is global, online business support firm based in Atlanta, Georgia. We help client find alternative marketing and administrative solutions. Our company serves a wide range of individuals, entrepreneurs, corporations, partnerships, non-profit organizations and more. We are experts in the day-to-day operations necessary to take a business to the next level.